In the upper dale of Burnsall, there are enchanting villages of Linton, Grassington and Conistone. When I was going along the B6160 further towards the north, a liitle ahead of a hamlet of Kilnsey, an edge of a rocky hill overhanging the road came into my sight. 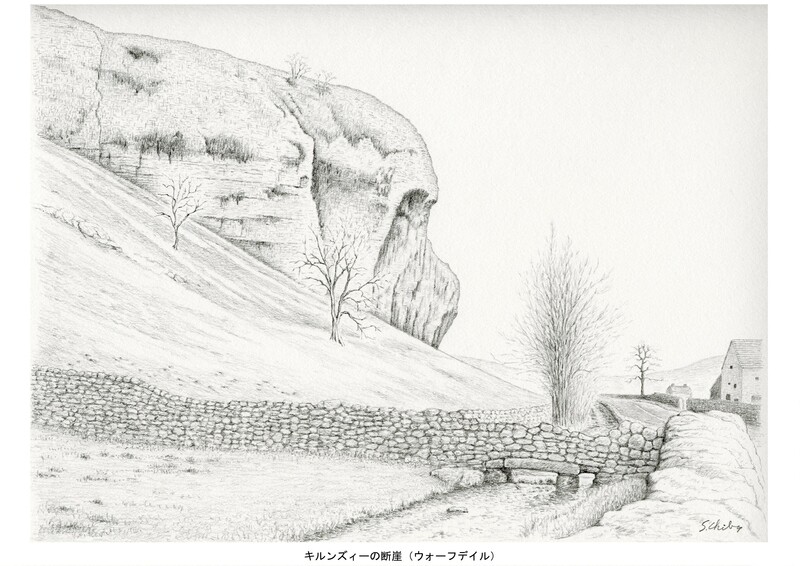 It was Kilnsey Crag, a typical outcrop of carboniferous limestone and one of the most famous landmarks in Yorkshire. The crag, 170 feet high from the floor of the small valley and overhanging 40 feet at the top, is said to heve been created in the last Ice Age. Having reppelled the climbers' challenges for years, the crag was conquered in 1957 at last. When I visited there in summer, Kilnsey Show, a local agricultural show and sports, was held in the field near the crag. The highlight of the show is "the Crag Race", the race of running up to the highest point of the crag and coming back to the event field. It is very popular with local young people. At one corner of the show, I found a very interesting competition. It was to build dry stone walls. The walls made of piled up rubbles must be not only sturdy but beautiful. It was a fantastic, unique and very suitable competition in the dales. 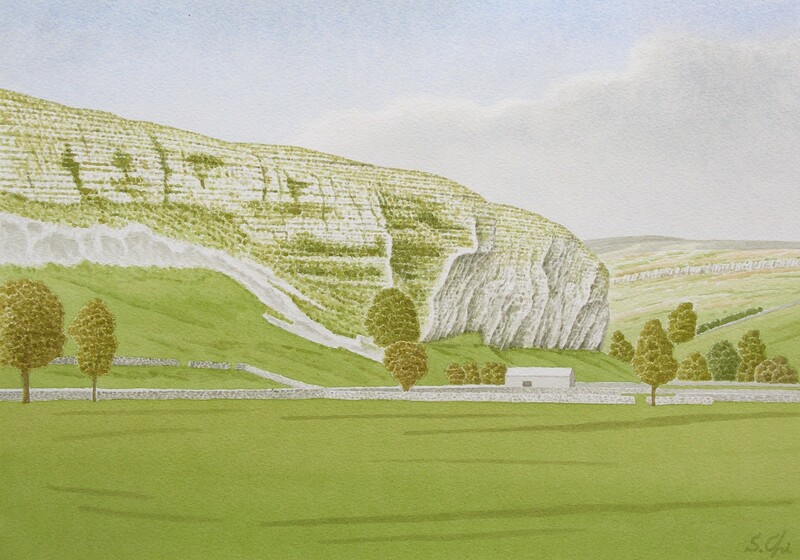 Turner painted Kilnsey Crag in watercolours from the village of Conistone on the southeast of it in 1816. The picture titled "Kilnsey Crag and Conistone" is very full of hazy and golden shinning light, which reminds me of his pictures painted in oils from the late 1830s. He had also visited Yorkshire in 1797 and 1799. The watercolour pictures of those days are very naturalistic and realistic, but from the late 1810s, the shapes of objects in his pictures become indistinct. I suppose that he developed his later year's style of oil painting from the pictures in watercolours in those days. It is the greatest pleasure for art lovers to be able to walk around the same landscapes which were painted by the great artists like Turner.